SimilarWeb allows you use the extension interface for both browsing and voting instead of being limited to a web-based directory. Once you have the extension installed, using it is as simple as clicking on the SW icon beside the address bar. You can rearrange the suggested order of sites, submit new sites, and vote a suggested site up or down based on relevance. If your browsers is called Firefox and your blog engine Wordprss, this is the extension that can helps you working with WordPress by providing useful help and tools. The extension eases the fast and simple access to develop-relevant pages of the WordPress Codex. So you always have all the necessary help at your fingertips. It’s also possible to search after strings of text that is currently marked. Furthermore it’s possible to easily switch to WordPress backend of current site. More than that, a small Icon indicates wether the currently displayed website makes use of WordPress. Two very fast update for Firefox. 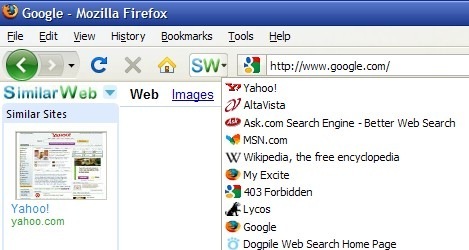 Now available for update Firefox 3.0.3 with the fixed problem where users were unable to retrieve saved passwords or save new passwords. 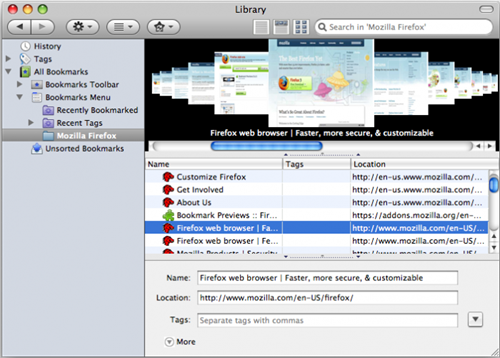 But for Firefox 3.0.2 there are a lot of fixed problems like security issues, stability issues, layout problem with certain web pages. A full list you can find in the 3.0.2 release notes. YouPlayer is "must-have" Firefox extension for all video-site fans. YouPlayer is an extension for Firefox, once is installed it will appear in a sidebar inside Firefox, which makes possible to add (dragging and drop) videos in the playlist. 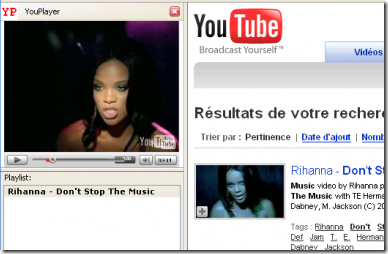 YouPlayer support most popullar video platforms sites like Google Video, MetaCafe, MySpace and YouTube. 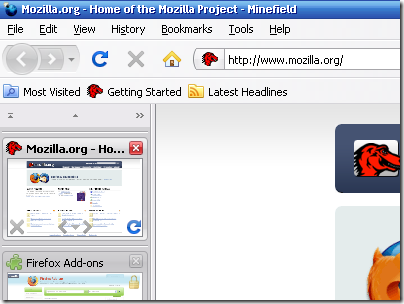 The Feed Sidebar is an extension for Firefox that displays the items from your Live Bookmarks in the sidebar. It is intended to be a lightweight extension of the RSS capabilities already included in Firefox, not a completely new feed management system.